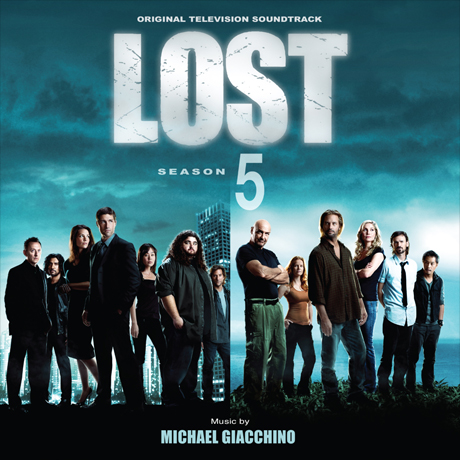 Home » lost , michael giacchino , music , soundtrack » Guess what I'm listening to right now? Guess what I'm listening to right now? I'm now on my second time of playing through it and once again Michael Giacchino has turned in a mesmerizing score (but those of us who watch Lost know that already :-) There are 23 tracks on this thing. The ones I've most been looking forward to having are "The Swinging Bendulum": the theme that was first introduced when we saw the Lamp Post in the episode "The Lie". That, and "The Tangled Web", better known as Jacob's theme. Unfortunately "The Tangled Web" does not trail off into the score that we heard when we got our first real view of the Statue of Tawaret in the prologue of "The Incident", which I thought was really majestic and mysterious. But hey: we do get the main vibe of Jacob's theme, so that's still fine. And there is plenty of reprising of "Dharmacide" (from the Season 3 soundtrack, which most people know as Ben's theme), which has also been one of my most favorite bits of music from the show. Per my usual practice, I'm going to purchase a copy at retail this coming week (something that I did with Transformers: The Score twice when it came out a few years ago :-) to make up for having this one sent. And if you love Lost and the work of Michael Giacchino, I'm gonna heartily recommend that you buy it too. 'Tis well worth plunking down hard-earned coin for.